(From Fujifilm lens literature) The new FUJINON XF 50-140mm ƒ/2.8 R LM OIS WR has a focal length equivalent to 76-213mm, and a constant F2.8 aperture throughout the zoom range. The length of the lens barrel remains constant throughout the entire zoom range, and features a weather resistant and dust-resistant finish that can also work in temperatures as low as 14°F. 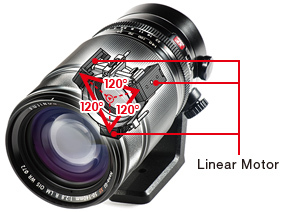 Thanks to a high-performance gyro sensor, a unique image stabilization algorithm and the bright F2.8 aperture, hand-held photography is possible in a wider range of shooting conditions. The XF50-140mmF2.8 R LM OIS WR also now uses the world’s first Triple Linear Motor for fast and quiet autofocusing and shooting. The FUJINON XF50-140mmF2.8 R LM OIS WR has a lens construction of 23 glass elements in 16 groups, which features five ED lens elements, and one Super ED lens element with low dispersion to substantially reduce chromatic aberrations. The XF50-140mmF2.8 R LM OIS WR also uses a new Nano-GI (Gradient Index) coating technology that ensures this high-performance lens delivers the outstanding imaging results that photographers have come to expect from the award-wining X-Series. The FUJINON XF50-140mmF2.8 (76-213mm) R LM OIS WR will be available in December 2014 for USD $1599.95 / CAD $1699.99.